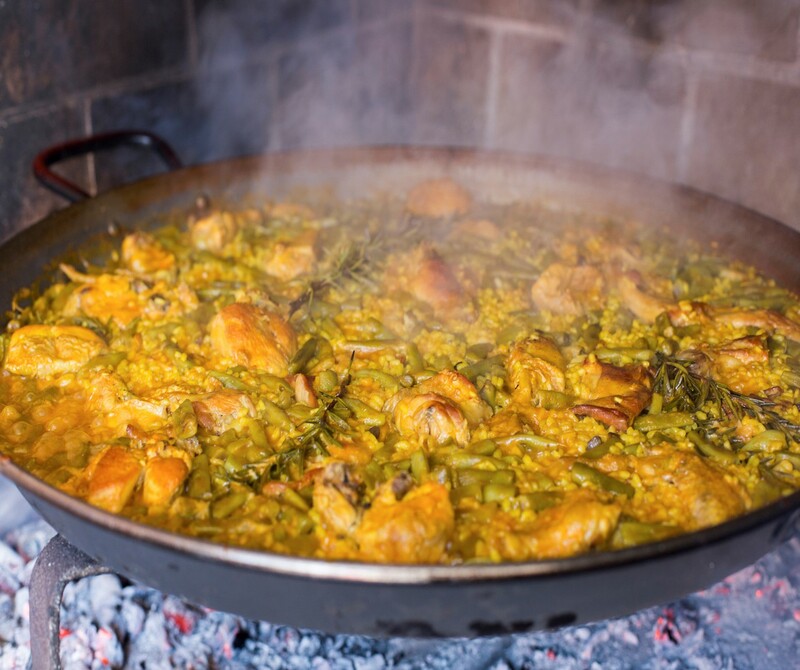 Despite being one of the world’s most popular cuisines, Spanish food can seem complicated to those who are new to the country. With pintxos, paella and other foreign labels to navigate on a menu, it’s easy to make mistakes, and with so many regional specialties, even Spanish people can occasionally get confused. From bacalao to butifarra, we’ve put together a guide to how to order food in Spain, so you can be sure to sample the very best of the country’s cuisine on your next trip. A specialty of the Basque country, bacalao can be prepared in several ways, usually with an assortment of onions, garlic, red choricero peppers and olive oil, none of which are particularly controversial or complicated. But try to refrain from offering an opinion on whether it all goes well with tomatoes; this is very much a live issue! A bit like black pudding popular in the UK and Ireland (it also has black and white varieties); butifarra is made of raw pork and spices, and features in a lot of Catalan cooking. Though sometimes not cooked at all, when grilled the sausage is usually accompanied by fava beans. One of those strange dishes that can be eaten either for breakfast or dessert, churros can be made thin and knotted or long and thick. Usually dusted in sugar or accompanied by a cup of hot chocolate sauce (churros con chocolate), these delights are wonderfully addictive. Paella needs no introduction, but the traditional conception of it as a seafood dish needs revision. Many purists despise this as an innovation and prefer the varieties that hail from the dish’s city of origin, Valencia. This means a mix of rabbit and chicken, flavored with saffron. There are lots of potato dishes in Spain and the label usually gives the game away (patatas alioli, for example) but the most popular is undoubtedly patatas bravas. Called ‘fierce’ because of the spicy mustard, tomato and Tabasco sauce, this is one of the county’s classic dishes. Taking its name from the toothpick that the food is impaled upon, pintxos or pinchos are little spikes of food, from cod to anchovies, from croquettes to vegetables, often accompanied by a small glass of beer or young white wine. In the south, a variation called montaditos involves serving toppings such as ham and cheese atop a slice of stone oven-baked bread. Tapas are small appetizers enjoyed before a meal or with aperitivos. Watch out for changing labels again though, anchovies (a common tapa) are boquerones in the south, yet pass for anchoas in the north (and those from Santoña are known to be the best). If talk of sugary churros and salted bacalao has you wishing you had a Spanish menu in your hands, why not book your spot on the Grand Tour of Spain & Portugal itinerary with some of Iberia’s greatest hits playing in the background. From April 1 to May 31, 2019, new bookings will receive a $50 optional experience voucher per person.